Come join us for a very special evening. A representative of Birthright will be present to share their story with us. Gifts of layettes or monetary donations for the purchase of layettes are suggested. Monetary donations can also be given for the cost of utilities and rents. 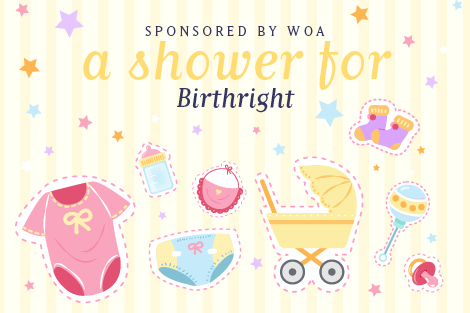 Suggestions by Birthright for a layette are listed here and can be purchased for either a boy or girl.